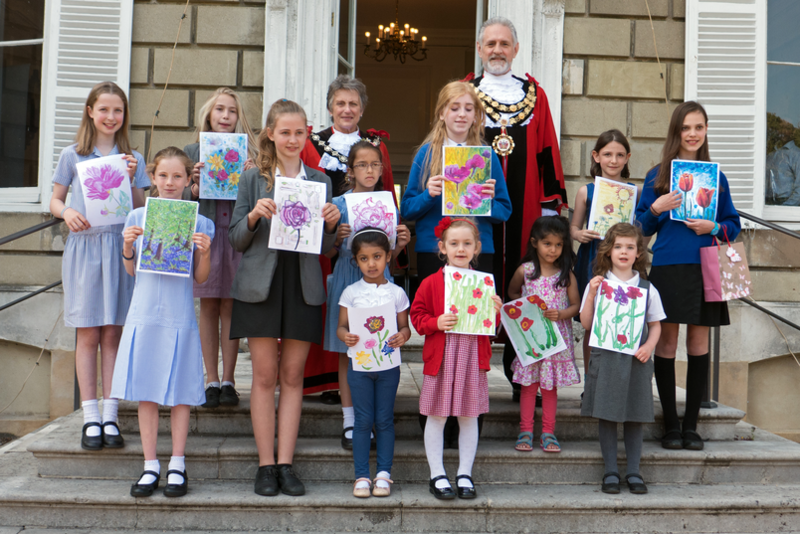 Congratulations to Holly C (Apple class), whose flower painting won an award in this year's Richmond Borough in Bloom Poster Design Competition. 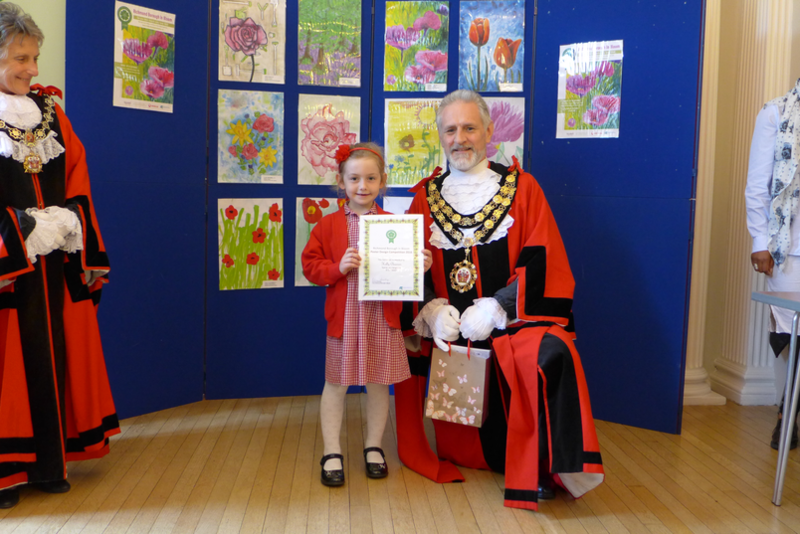 Holly was runner-up of Category B, for entrants aged 5-7 years, and won a prize of a special commemorative certificate and a pack of art materials. These were presented by the Mayor, Counsellor Martin Seymour, on Friday 13 May 2016; after which there was a celebration tea party. 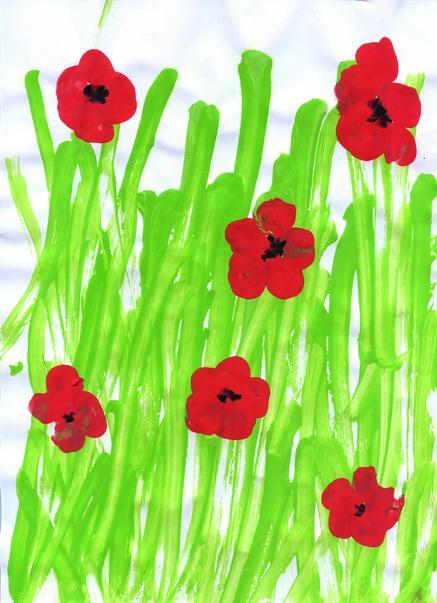 See below Holly's winning design and photos of the presentation.